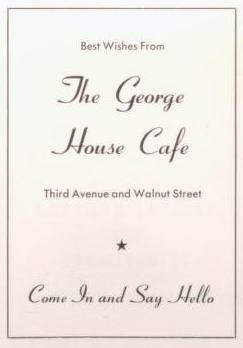 The George House Cafe. Service in your car. Breakfast, Lunch and Dunner. Complete Fountain Service. 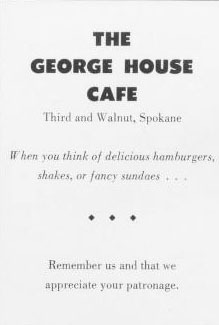 When you think of delicious hamburgers, shakes, or fancy sundaes... remember us and that we appreciate your patronage. Best wishes from the George House Cafe. Come in and say hello.